The NHLPA announced arbitration dates for all 36 restricted free agents who remain unsigned after filing for the proceeding last week. Players who have four years of NHL experience are eligible for salary arbitration. Vegas Golden Knights centre William Karlsson and Jason Zucker and Matt Dumba of the Minnesota Wild, along with Ottawa Senators forward Mark Stone headline the list of RFAs who filed for arbitration this summer. 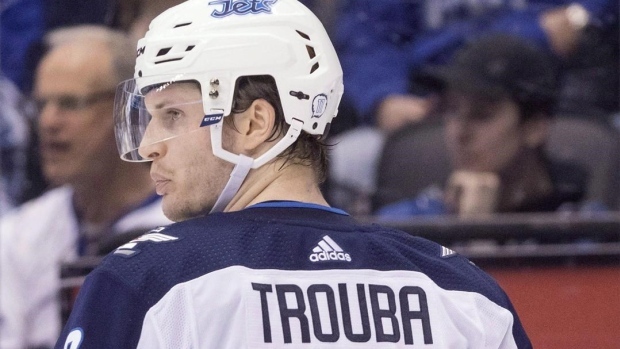 Winnipeg Jets defenceman Jacob Trouba headlines the first day of arbitration on July 20, along with Phillip Danault, Chris Tierney and Devin Shore. The Jets have three players currently slated for arbitration, Adam Lowry is scheduled for July 22, Brandon Tanev for July 25 and Marko Dano for July 30. Stone's arbitration is scheduled to take place August 3, two days after Senators defenceman Cody Ceci meets with the team. For the Calgary Flames, Brett Kulak has the first meeting scheduled on July 23, followed by Mark Jankowski on July 27, David Rittich on July, 28, Garnet Hathaway on July 30 and newly acquired centre Elias Lindholm on August 1. In addition to Danault's hearing on Day 1, the Montreal Canadiens are scheduled to meet with Joel Armia, acquired last month from the Jets, on July 25. The Vancouver Canucks' lone arbitration hearing is set for July 29 with defenceman Troy Stecher, while the Toronto Maple Leafs and Edmonton Oilers do not have any players scheduled for arbitration. Karlsson, who scored 43 goals for the Golden Knights last season after recording just six the season before, is scheduled on the latest possible date, August 4, along with Ryan Spooner and Patrick Nemeth. Last summer, 30 restricted free agents filed to have their contract decided by an independent arbitrator, but only Nate Schmidt of the Vegas Golden Knights went through the process. In 2016, all 25 players who filed settled on contracts with their teams on their own, with Tyson Barrie reaching a deal with the Colorado Avalanche after his arbitration hearing but before a decision was made.